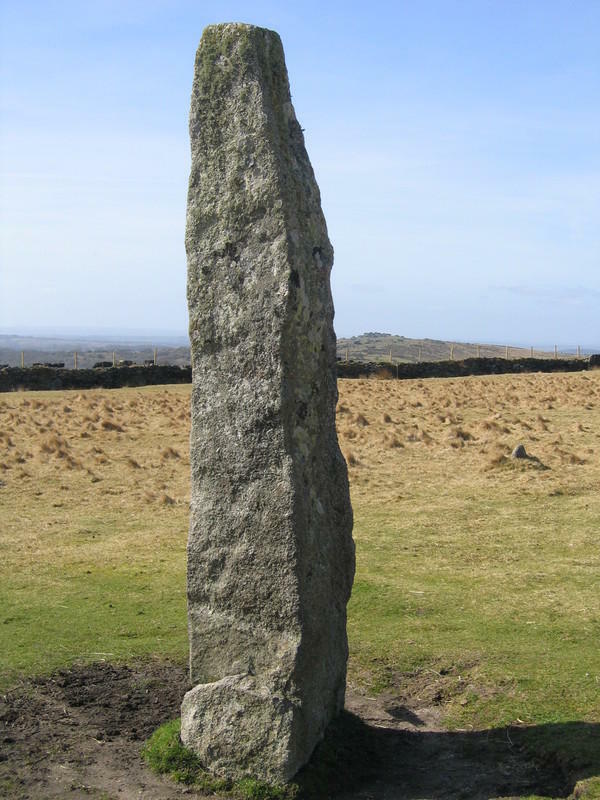 Dartmoor, in the county of Devon, has the largest number of prehistoric monuments in England and Grimspound is one of the most amazing. Even if you've never been to Devon, you may actually know this place. Victorian detective writer Sir Arthur Conan Doyle describes it as Sherlock Holmes' hideout in The Hound of the Baskervilles ! "... down beneath me in a cleft of the hills there was a circle of the old stone huts, and in the middle of them there was one which retained sufficient roof to act as a screen against the weather.... A vague pathway among the boulders led to the dilapidated opening which served as a door ... "
Unfortunately, only remnants of the huts remain today, certainly not enough to shelter anyone. But when this site was first excavated in 1894-1896 by the Dartmoor Exploration Committee, the findings were widely publicised and Sir Arthur Conan Doyle seems to have taken careful note. He describes the huts as 'neolithic', but we believe today that Grimspound is actually a Bronze Age settlement. A thick double wall encloses a 4 acre site. Inside are the foundations of 24 huts, 13 of which show no signs of habitation and may have been storage rooms. The remaining huts are circular with a clearly defined, paved entrance. A few even have a porch! Inside, either in the centre of the hut or opposite the entrance, is evidence of a hearth and some huts appear to have a raised platform off to one side which may have been where the occupants slept. The purpose of the settlement is still subject of argument. Archaeologist think that the settlement was not a place that people fled to when danger threatened. It has thick, protective walls and a ready supply of water, but is tucked into a small valley without far-reaching views. Only a small number of objects - a few bits of pottery and an arrowhead - have so far been discovered on the site. 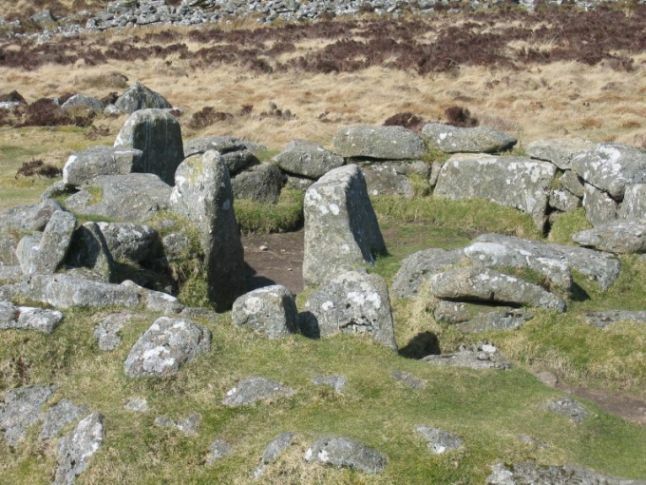 So we can't really say if Grimspound was a Bronze Age cattle ranch, a festival village or a religious site. But we do know that it is a place that draws people and inspires them. 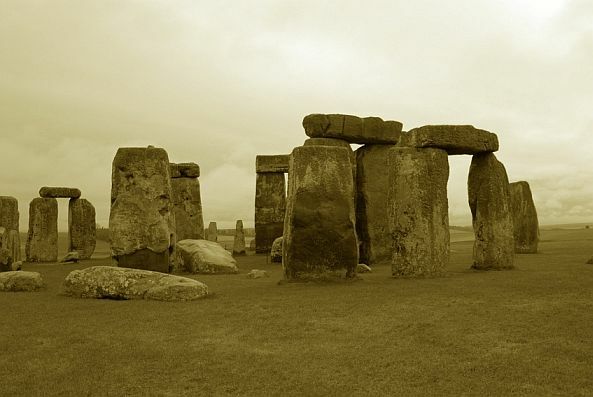 Thousands of years ago the area inspired people to build their homes here. Only a 100 years ago it inspired Sir Arthur Conan Doyle to use it as a setting in one of his stories. And who knows whom it will inspire next? 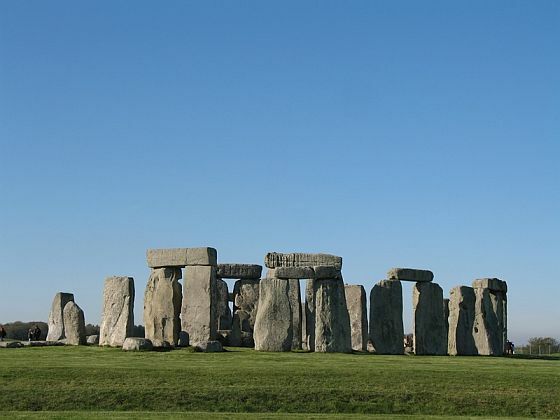 Explore more of England's Glorious County. Return from Grimspound to the Devon page.